Thanks to block exemption we can carry out services and repair work without affecting your vehicles manufacture warranty. We carry out routine maintenance along with repairs if necessary. Air conditioning service and maintenance. Full Computerized 3D 4 wheel alignment including caster and camber and corner weighting. All our work is compliant with manufactures warranties, and we offer 12 month warranty on our workmanship. Having the latest VCDS (Vag com) software vehicle information for Volkswagen, Audi, Seat & Skoda and software provided directly from the manufactures, this allows us to diagnose and repair your vehicle as efficiently as possible. We also have Vag Tacho for key programming. We have the latest fully computerised Snap-on ‘ATL’ Mot testing equipment on site so can thoroughly check over your vehicle for it’s Annual MOT test. Our viewing area is via a CCTV system so you can watch your MOT being performed in comfort if you wish with complimentary Tea or Coffee. 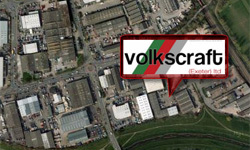 At Volkscraft Exeter ltd we only use genuine or high quality aftermarket parts when we are carrying out our work. Genuine parts give you the peace of mind and able your vehicle to retain its original quality feel as the manufacturer intended. Volkscraft is the only authorised Revo dealer in Devon. Revo software can increase your cars performance and in some cases economy at the same time. Revo are regarded highly as one of the best VW Audi group tuners in the world, They can also provide software for certain Ford and Porsche models too. Revo also provide an extensive range of performance hardware components that compliment their software and increase performance at the same time. See our Revo page for more details. Milltek stainless exhaust systems are some of the finest exhaust systems available for a wide range of vehicles. See the Milltek Sport website for more details or phone us today. Forge Motorsport offer specialist alloy fabrications with many aftermarket upgrades available for a wide range of vehicles. See the Forge Motorsport website for more details or give us a ring today. Courtesy cars available at no extra cost. Find out how Revo Technick can help boost the performance of your VAG vehicle. 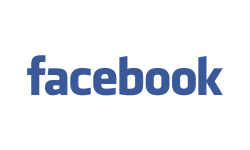 Contact us today with any questions or enquiries.